You will leave Paris early in the morning around 8.00 am. 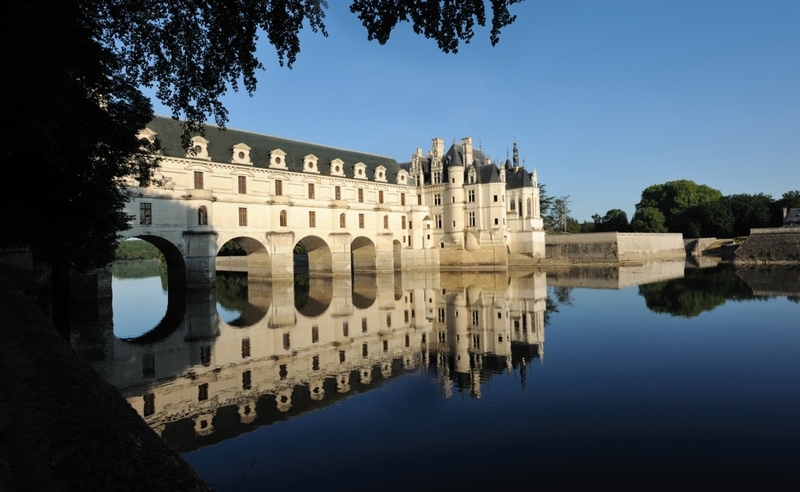 After 1,5 hour driving you will reach the Loire valley recently named a Unesco World heritage. You will first visit the royal castle of Chambord with its amazing architectural construction the main residence of king Francois 1st. 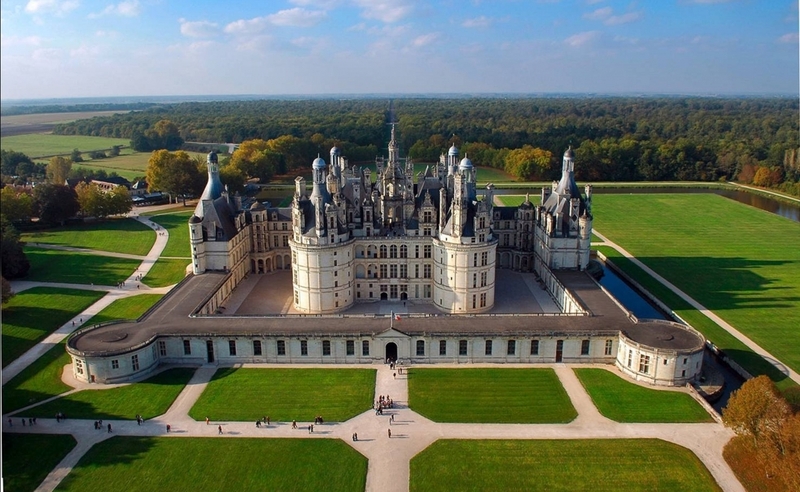 It is the largest chateau of the Loire valley castle with 440 rooms, 85 staircases and 365 chimneys. Built during the 16th century, it has been inspired by Italian architecture and Leonardo da Vinci. 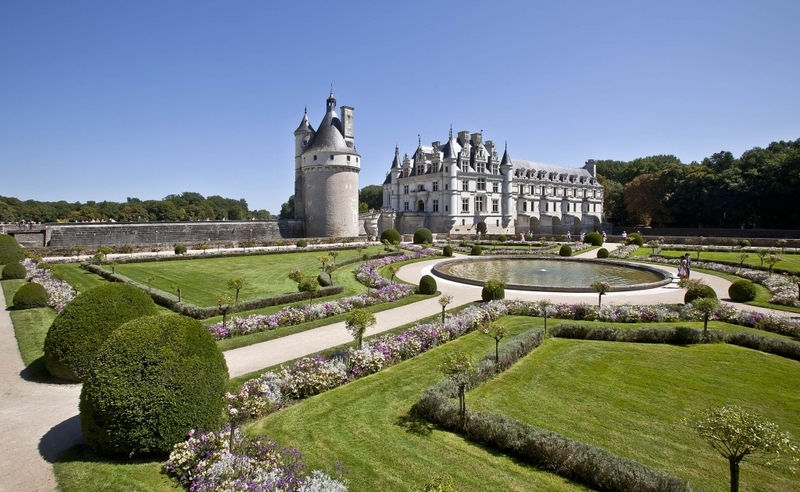 You will then go the Palace of Chenonceau certainly the most romantic chateau of the region. Diane de Poitiers and Catherine de Medicis are the two remarkable women who have been improving the look of the chateau. It steps ever so elegantly over the river Cher with its bridge gallery. He has a huge collection of master paintings and a remarkable series of 16th century Flemish tapestries. Lunch on your own in Chenonceau. 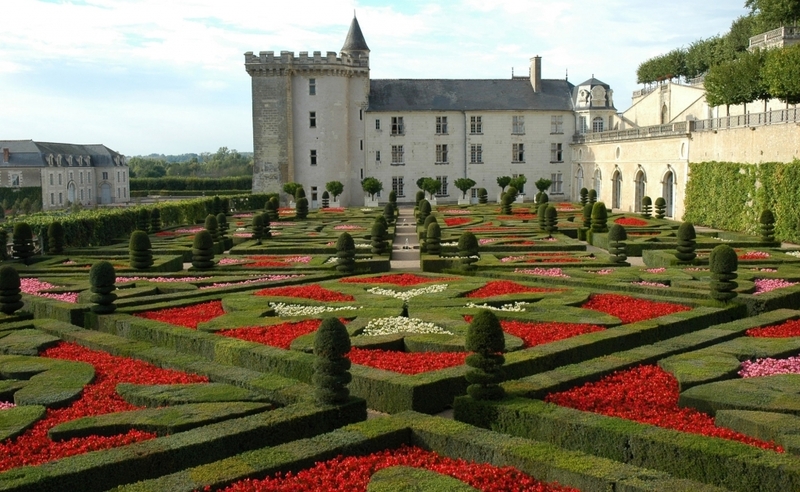 In the afternoon, you will visit the castle of Amboise and its collection of Gothic and Renaissance furniture, panoramic gardens overlooking the Loire river. You will continue with the visit of the famous Leonardo da Vinci estate at Clos Lucé with its Renaissance rooms, frescoes by his disciples and 40 fabulous machines. Afterwards, you will go to the village of “Chargé” close to Amboise to visit and taste the fine wine of the Plou family cellar, wine producer since 1509. You will taste several grape varieties. You will then check in at the elegant 18th century mansion : Hôtel de Choiseul in Amboise (click to know more) close to the chateau facing the river Loire or similar (half board at the hotel). Depart from the hotel around 9.00 am after your breakfast to the castle of Villandry : a unique example of Renaissance architecture from the 16th century and its 6 gardens : the kitchen garden , the ornamental garden, the water garden, the herb garden, the labyrinth and the sun garden. You will continue with the delicate castle of Azay le Rideau, the loveliest chateau of the Loire valley with its delicate turrets and fortifications. Built on the foundations of a medieval fortress, the chateau is surrounded by water of the Cher river. This is a virtuoso composition of pale stone, limpid water and lush greenery. The masterpiece of the 16th century has preserved all the refinement, elegance and grace of an exceptional Renaissance chateau. 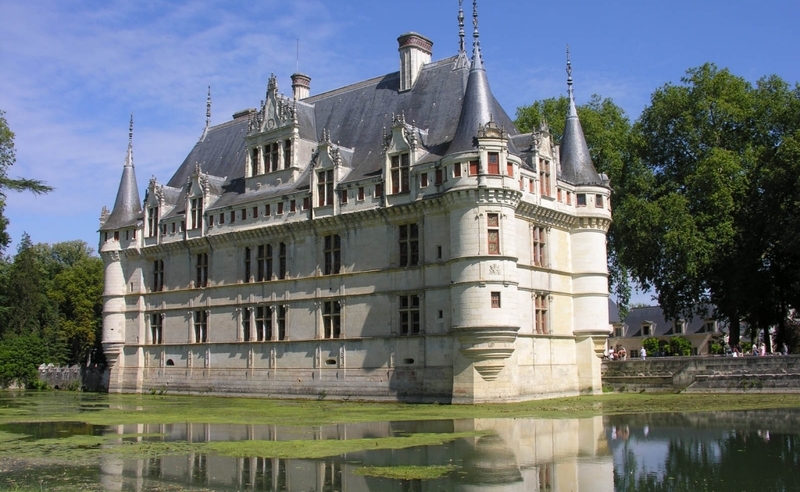 You will then taste the famous Touraine wines at the Chateau de L’Aulée close to the charming village of Azay le Rideau. In the afternoon, you will visit the fortress castle of Langeais built in the XV century and richly furnished. The hushed ambiance of the rooms and the splendor of the great reception halls will plunge you into the daily life of the 15th century. You will relive the event that distinguished the history of the locals : the wedding of king Charles VIII with Ann of Brittany, recreated with strikingly realistic wax figures. There is an outstanding tapestry collection from the 15th century. After Langeais you will go back to Paris (arrival time around 7.00 pm).